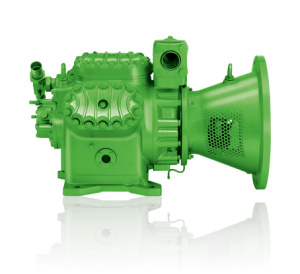 The compact semi-hermetic reciprocating compressors are suitable for a whole host of refrigerants. 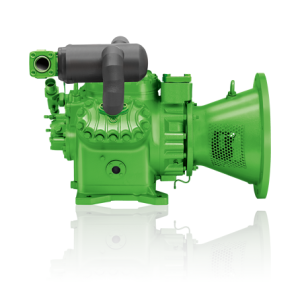 Our compressors boast an efficient suction gas–cooled motor, high-quality valve plates, wear-resistant drive gears and adjustable capacity control. The semi-hermetic reciprocating compressors, which compress the refrigerant in two stages, are optimized for the low-temperature refrigeration range. Liquid subcooling significantly increases the cooling capacity and efficiency of the entire system. With the built-in preprogrammed frequency inverter of the VARISPEED series, the speed can be infinitely adjusted, which increases efficiency and lowers energy costs. The built-in suction gas cooling of the frequency inverter increases operating reliability and reduces maintenance to visual inspections only. 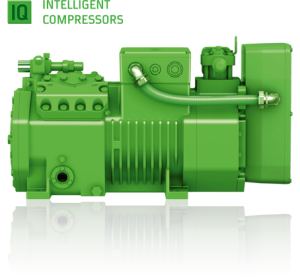 The semi-hermetic reciprocating compressors with liquid receiver are ideal for any application. The liquid receivers are optimally designed for use with the compressor and (H)CFC/HFC refrigerants at pressures of up to 33 bar and temperatures as high as 120°C. The two-stage semi-hermetic reciprocating compressors with liquid receiver were specially developed for low-temperature applications. The liquid receivers are optimally designed for use with the compressor and (H)CFC/HFC refrigerants at pressures of up to 33 bar and temperatures as high as 120°C. 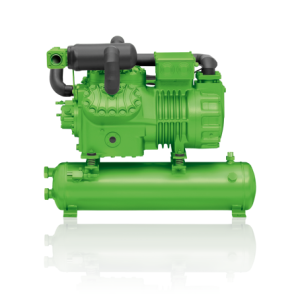 Open-drive reciprocating compressors are available in two model series: for (H)CFC/HFC refrigerants and for ammonia. 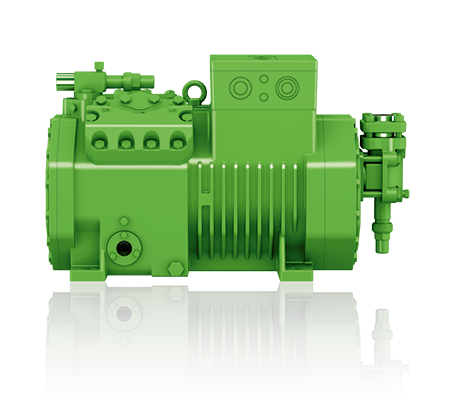 Due to the open-drive construction, standard motors can be attached to the compressor via coupling housing or belt drive. Reliability and easy maintenance have made them popular options for years. 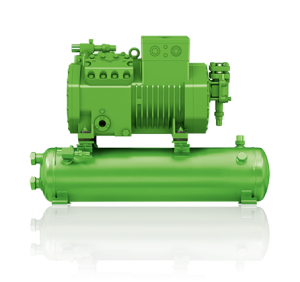 The open-drive two-stage reciprocating compressors are specially optimized for the low-temperature refrigeration range. The optional liquid subcooler can significantly increase the cooling capacity and efficiency of the entire system. 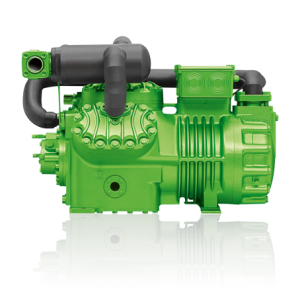 Standard motors can be attached to the compressors via coupling housing or belt drive.